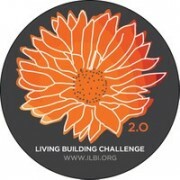 But what makes a building zero energy and how can it be done? First, you need to know the terminology. Net zero, zero net energy, net zero energy, zero energy buildings, net positive, no utility bill, zero energy ready, off grid…. to name a few. So many terms out there, it really is the wild west. But how does the market know it is net zero? How do you prove it? But how do we achieve these lofty certifications and where do we start? Based on several projects we have seen over the years have been able to compile a list of the top 10 pro tips to getting zero energy with ease. These tips are mostly in order of importance, however, some can change depending on your local opportunities, challenges or whether you are doing renovations vs new. Commitment is key. You cannot make the challenge unless you are on board. We need the whole team. The owner, developer, building manager, builder, designer, HVAC and yes, even the landscape architect will play a role. Sure, there will be some naysayers and that is ok, they will challenge you along the way to ensure you are thinking through your decisions. Getting the team together for a few preliminary design meetings and defining roles and task always helps. Maybe the people being hired on the job should also sign a contract or have it in their contract to hit zero. When looking to hire look for those involved in green building or zero energy projects on their resume. Everybody plays a role and it is important that everyone understand how they contribute to the goal and how it is connected to others role. Having clear communication and intent from the start is the biggest hurdle and yet the easiest place to start when getting to zero. You have to know what renewable resources are available on the site you plan to build or renovate on or if you are luckily enough to have a choice, you can select a lot based on its supreme renewable energy resources. Now you may want to assess wind, sun, water and earth for your energy but for the most part, projects are usually only going to benefit from the sun and earth, based on current technology. So unless you are next to a large body of water, running stream or are in a very windy rural area. Solar and geothermal are going to be the way to go and what we discuss here. With solar, you can easily use the National Renewable Energy Laboratory PV watts program to determine the solar income of the site. You can see what energy is hitting the site or an existing structure and determine then how much energy is needed. This is important because it tells you how much renewable energy is available on that site and tells you the constraints you are working in to get to zero or what you may need to do find other renewable resources. PV watts has nothing to sell you either, it is a federally backed program that gives you information. Many areas have solar PV experts and installers who can also assess the site, many times for free as well. When it comes to earth we are talking geothermal HVAC (aka ground source heat pumps). Ideally, you are looking for a site with some acreage where you ideally do not need to remove trees or where you plan to remove them for the project. In this case, a very small body of water may actually improve the geothermal performance. If you have an existing lot, a small lot or one that is very wooded where you don’t want to kill trees, the geothermal expert will recommend drilling vertically. Don’t forget to check local regulations for how close you can drill to someone’s property or what is below! Geothermal is defiantly not necessary on all zero energy projects but we will get to that later. The sun can be your friend or your enemy. Most homes these days just try to keep it out. Keeping glass off the south end. That’s a good start but you can also use it to your advantage. In cold weather climates, the sun goes high in the summer and you can use overhangs or smart curtain systems to easily keep it from coming in the home and overheating it. Energy star certified roofs too help reflect it out as well. In the winter time, you want that low sun coming into the house. It can be used to heat concrete floors, Trombe wall systems and/or thermal mass walls such as concrete, rammed earth or straw. This will radiate heat back out at night if designed correctly. Passive ventilation/cooling can be done using the proper placement of windows to strategically keep occupants cool in the offseason. Check out some free passive solar design-based tools here. Using these methods can easily cut energy use in homes and buildings, sometimes for less or no additional cost and require no maintenance. Bonus, overhangs improve the life of doors and windows and so there is a 2 for 1 there. This is very important because most of our energy is used by simply heating, cooling and ventilating space. Imagine if you can design a home that heats less space but feels just as large? Nationally, Sarah Susanka discusses the not so big house concept but in Grand Rapids Urbaneers are already at work with products like moveable walls, wall beds, adjustable kitchen islands, Milwork + storage, compact & prefab kitchens to name a few. This home in Portland, OR is an extreme example of right sized living and making the best use of space. Minimal surface to volume area may mean 2 story homes vs longer 1 story homes or just, to be honest, encourages multifamily as opposed to single family for more efficient usage of space in urban areas. Just look around online for countless of examples of doing more with less and therefore demanding less energy. Passive house has the most rigorous standards that are climate appropriate in the US based on where you are at. These include low energy demand, a super tight building shell and low energy per person per year. They give good estimates on the R value of insulation/windows from under the ground to the attic. Try your best to follow these to get to a low demand building before thinking about the mechanical systems. Learn more on the PHIUS website. Innovations in this area include Structurally Insulated Framing Systems (SIFS) that are affordable ways to still build a conventional home or building but save a lot of energy in the walls. When you have a super tight house you need to make sure you are using balanced ventilation and fresh air which can take energy but there is a smart ventilation system that runs very low but only ramps up when poor air quality is detected in the home. 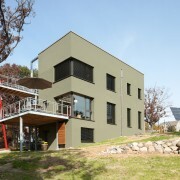 A good way to save energy and keep clients healthier in almost passive house projects. Now that you have your designs thought through well-using steps 1 – 5 you might just be crossing your fingers you made it but why guess? Energy modeling has now moved from an art to a science. We can now model with over 90% accuracy and predict how much energy a building will use. During the design process, you can hire an energy rater to come up with a preliminary model that shows a 0 consumption. As the plans change, communicate with the rater so they can make sure you are still on track. Then the same rater will do inspections during pre-drywall and final to ensure what is in the model actually was installed. For existing homes you would do an energy inspection to get a starting place. These things are typically already required by code and may get incentives. The most popular tool for lowrise residential buildings is REMrate (HERS Rating) and this software can show what parts of the design are performing well or underperforming. A good HERS rater will help you find cost-effective ways to reduce energy in those areas to get the home to zero. Other tools are the DOE Home Energy Score for renovations, WUFI passive for all project types and ASHRAE 90.1 or Level II for larger buildings and commercial. Make sure you get a good rater who knows what they are doing. Eliminating combustion ensures your HVAC maximizes energy efficiency and uses energy that can be directly offset by renewable energy. These systems are also now price competitive with fossil fuel systems. Typically we are talking heat pumps for heating, cooling and water heating. They can be air source, ground source (geothermal) or some combination of the 2. Ductless mini splits can eliminate the cost of expensive ductwork and air source heat pump furnaces only require one device that works like reverse air conditioning in with winter. Geothermal (aka – Ground Source Heat Pumps) is the most expensive and needed to get older existing homes or larger homes to 0. They also come with a 30% tax deduction for several more years. Most gas furnaces are oversized if you are following the above steps and so these electric HVAC systems are typically smaller to fit the lower demand. For water heating, heat pumps now are the most efficient and can be used to dehumidify or be ducted to stop it from taking the energy your clients paid for from the indoors. Going all-electric is a new concept in many areas but the latest report from Rocky Mountain Institute and another from NREL shows a lot of dollar savings to be had. A whole Facebook group is dedicated now to strategies to electrify all our buildings. Come join us here. Get picky but be smart. At this point you have likely removed 80 to 90% of the energy use of a home through good design and better HVAC. Now it’s time to work with your clients, homeowners, and tenants to get real (really!) picky. Use very low watt LEDS ( 4 to 8) lamps, light switch or bulb ready motion / photo sensors / dimmers, and all energy star appliances. Make use of low flow devices, hot water pipe wrap, and smart power management systems. Have instant utility usage information on a per plug basis which shows how much energy you are using. Ceiling fans can help keep you cool as opposed to AC. Try induction stoves which cook just like gas and are way more energy efficient because they heat pans only when needed. Use heat pump dryers which are the most efficient and work great. As a builder/designer, you can specify these systems and have a homeowner training/manual to show your clients how to operate these systems to keep energy usage to zero. Developers, landlords and owners can continuously train new and existing tenants and use green leases or energy competitions to keep bills low! Building green gives you guidance on how and what to do. Most green programs have a checklist you can follow to keep you on track. Typically, tight homes can cause health issues so green building gives you health strategies to follow. Following the indoor air quality requirements keep your clients safe, healthy and alive! Water conservation is also a big part of green building, this keeps utility bills low and can play a role in keep energy bills low too for hot water demand. Using a green certification increases home value + tenant retainment and is an easy way to communicate sustainability goals and a fall back if you just don’t make it all the way to zero. For a comparison of all the green certifications and which is right for you and you clients, go here. Let’s face it, renewable energy is expensive and needs a lot of infrastructure. So by following all those other steps you now just reduced your demand so low for energy that you really don’t need that much solar. Before you even go solar in your project you can wire the electrical system to the roof, increase the size of the breaker box and make sure there is proper roof orientation or open space for a ground mount is there to add enough solar. This is called a zero energy ready and am an easy place to start. DOE has created a solar-ready checklist you can use on your next project. Once the owner has the funds to go solar they can simply add a small amount in the future and achieve zero energy with minimal efforts. Obviously going solar during the project will be the easiest and cheapest to do right away but it’s not always feasible. Designed right you should only need between 5 – 12 KW of solar pv depending on your climate, home size and location. There now are affordable shingles that also double as solar panels. Imagine getting rid of toxic asphalt shingles for your clients and replacing it with money generating solar energy shingles that can also the get 30% federal tax deduction? That is a win/win. If your client is looking to use an electric car or have a battery backup system during power outages, you may be considering a larger system to handle the electric carloads in the future, you can do that part in the energy model in #5 and survey your clients on their driving habits. Check out this family in MN powering their cars and home all on electric and solar. Some call it the new American Dream. Ultimately, if done right, getting to zero energy should be affordable for everyone, especially in new builds and major renovations. While there is typically an added costs, folks like greenspaces in TN are challenging that notion and partner with builders to build market-rate cost competitive zero energy homes and it is working.